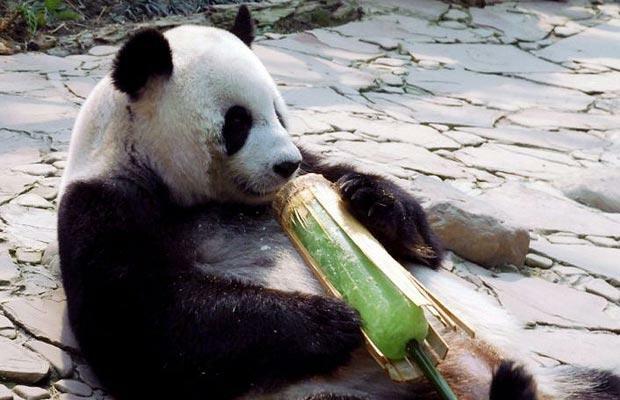 Roll up to buy your homemade ice lollies after school on Friday (the bear comes as extra). Aquila, Draco and Columba classes have come up with a fruity twist on the Fundraising Friday this week. 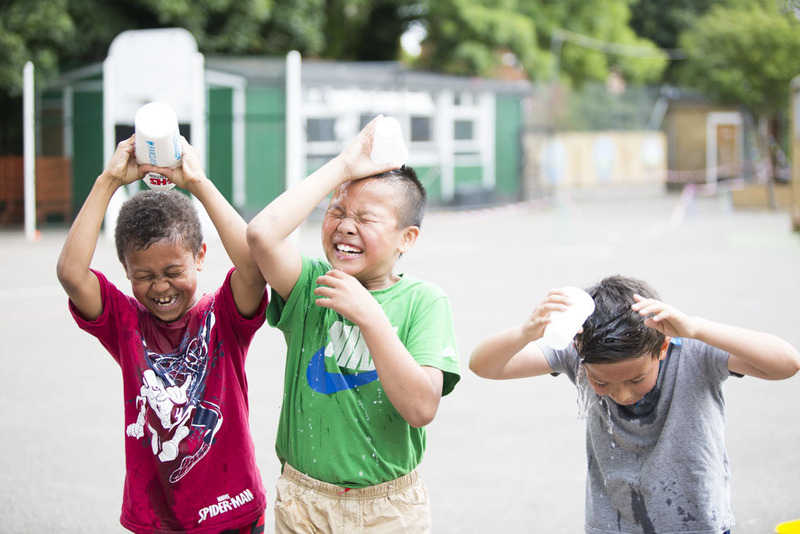 They’re attempting a giant pure-fruit-juice ice lolly sale on 20th May after school – so fingers crossed for some scorching weather on the day to increase their sales. The classes have requested fruit juice donations by Thursday 19th May, to give them time to make and freeze their lollies. 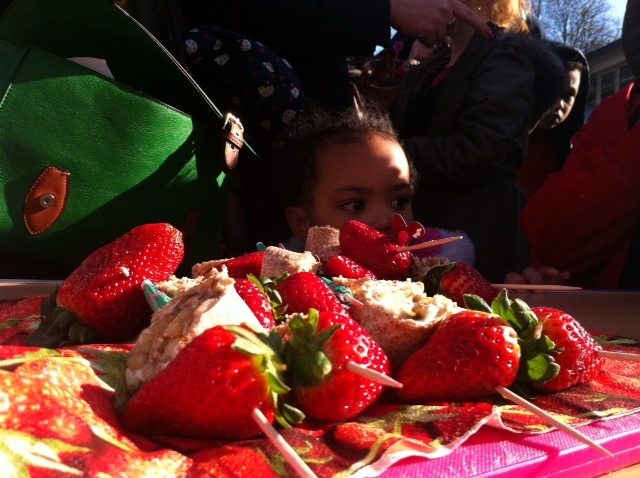 Donations of other fruit treats (such as kebabs) and healthy snacks – no cakes or biscuits – will be welcome on the day. Reminder: there’s also a Summer Fair planning meeting this Wednesday at the Tufnell Park Tavern, 8:15pm. Please come along. 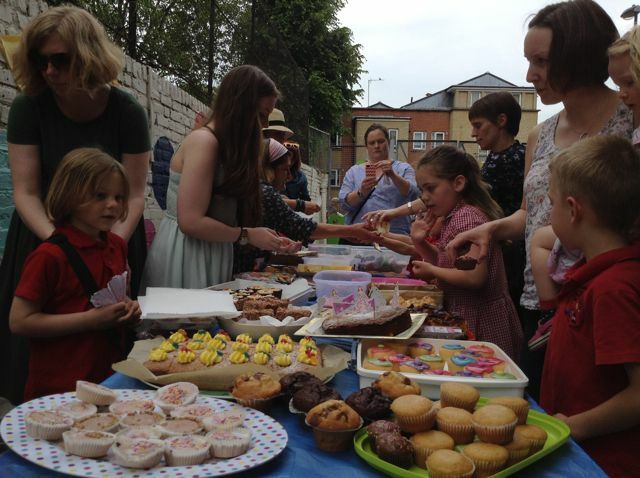 The Orion cake sale last summer – happy days are here again. It seems a while since this blog featured a photo of a giant table groaning under the weight of many cakes, so here is one. 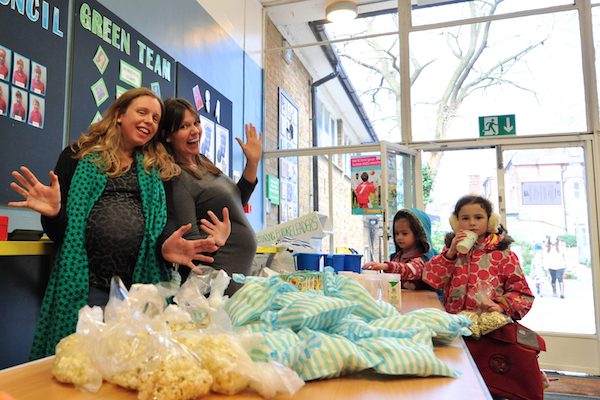 The infants’ classes (Years 1 and 2) have opted for a Sweet & Savoury Snack Stall as their fundraiser this Friday. The proceeds go to all three classes – Delphinus, Andromeda and Ursa – so we hope you’re very hungry… Please donate if you can, and definitely come and buy. “Stick ’em up, pardner!” Put this lot in stetsons and we’ve got a posse. Conveniently timed at 2:00pm on the same afternoon is the extremely important Summer Fair Planning Meeting (meet in the school lobby). The theme this year is Cowboys & Cowgirls, which we’ll be happy to interpret as loosely as necessary, in keeping with successful tradition. The point is to put on a fantastic fun summer fair with tons of things to do… as well as raising a load of money for HSA activities next year. Saddle up and get on down to school, bringing your Wildest and Westest ideas with you. No more waiting – your moment on stage has arrived. The springtime keeps trying to break through the grey… But if it still can’t come fast enough for you, warm up with a browse through the sunny spectacular that is the Tufnell Park Annual Easter Hat Parade: click here for the full gallery. Straight after the meeting that day, you’ll be able to refresh yourselves and your children at the sale of sweet & savoury snacks on behalf of all the infants’ classes. Please contribute goodies if you can, particularly if your children are in years 1 and 2… and please consider giving 30 minutes of your time to jump behind the stall and help. Tracey and Gregor, parents of Clara in Cygnus, have nobly volunteered as HSA Fundraising Friday co-ordinators for the rest of this school year, and would be very glad of your support. Finally, one less thing to worry about. Your dinner this Wednesday 20th April is sorted: dine with the HSA at the Tufnell Park Tavern from 8:00pm. By popular demand, it’s a super-casual drinks and eats social for all parents and carers at the school, and we’d love to see you there. The clock is ticking… someone needs to relieve these blooming popcorn sellers (aka HSA Secretary and Chair) of their duties – soon! …on Wednesday 3rd February 2016. Recruitment to the HSA committee was much on everybody’s minds, with a co-Chair position still vacant and our current Chair and secretary both requiring maternity leave in the very near future (May and March respectively). Other committee members have been in position for several years and would be happy to step down by the end of this school year to let new parents run things their way. The HSA has had to curtail several of its activities this year for want of people willing to step up and organize. We have only been able to lay on one of our usual three Learning Treats – the spectacular Animated Movie-Making (ITC) Learning Treat that came to fruition on Friday 12th February. And we have not been able to re-run the super-popular family Bingo night we had last year. 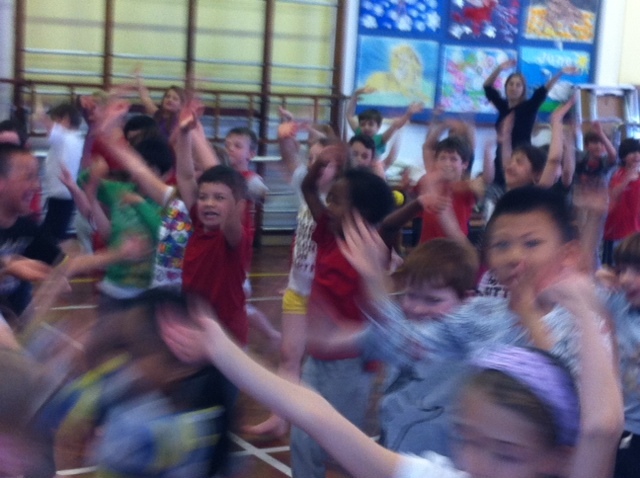 …Will we be able to run anything for Sports Relief this year? Sports Relief is coming up on Friday 18th March and there’s still no volunteer to run a healthy snack stall or any other event on the day: it can’t happen without someone to take the helm. Contact us now if that person could be you. Please volunteer your help if you’d like to see the HSA continuing to organize a programme of events that genuinely enrich the life of the school. Better still, come along to a meeting: the next one is Wednesday 9th March at 8:00pm in the Tufnell Park Tavern (cafe section). Friday 11th March – Give & Gain Day. A team of 20 volunteers from two different businesses are coming to prepare the school grounds for the Farm & Feast project. Let us know if you can help out with the garden work or refreshments (donating or helping serve). Sunday 20th March – 1:30-4:00pm – Family planting afternoon: sowing the vegetables that we’ll cook in July. Sunday 17th July – 9:30-2:00ish – Family harvesting, cooking and feasting day. After the Easter holidays, there are plans for an HSA social evening of the pizza-and-drinks variety – no fundraising, no agenda, just some free food and fun. Theme for Summer Fair 2016? How Wild do we want our West to be? 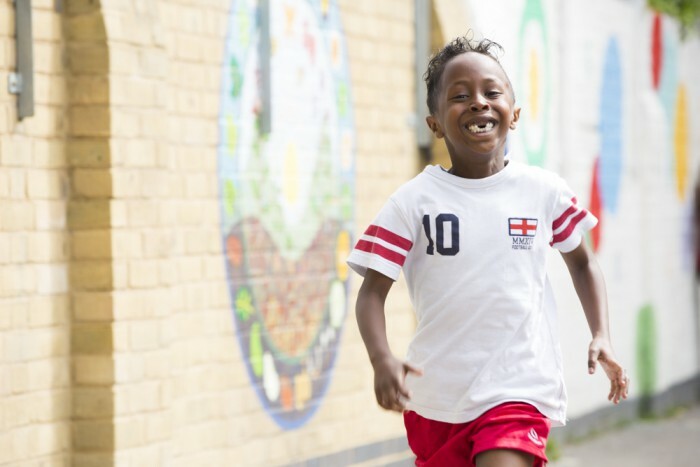 At school, the annual children’s Fun Run will return on Thursday 8th and Friday 9th June (the week after the late spring half term holiday) and the date of the Summer Fair is Saturday 9th July. No theme has been decided yet but at this meeting, the Wild West proved immediately popular… Come to the meeting on 9th March if you want to cast your vote. Oooo… the posters went up all round school today. 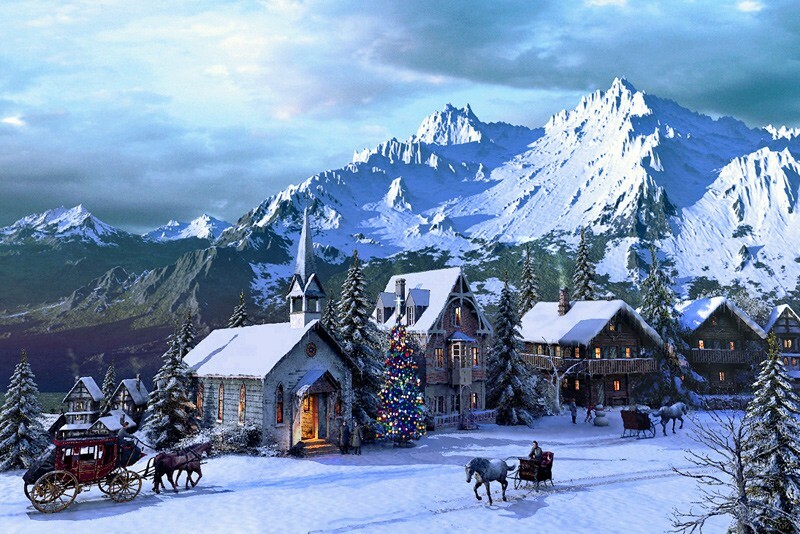 It’s time to start feeling Christmassy all over. Winter Wonderland Winter Wonderland Winter Wonder… – it had to be, at this time of year! The party is on Friday 4th December, a week earlier than usual and only three weeks away. Come to the final Wonderland planning meeting on Friday 27th November, 2:00pm in the school lobby. Sign up to help on a stall at the party, so that no-one (except Santa) gets stuck in one place for the whole afternoon. 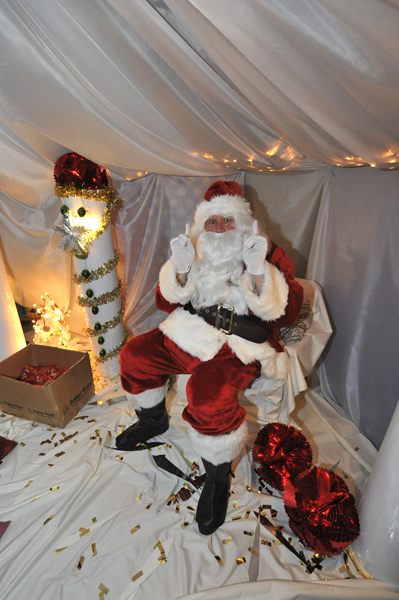 Lend us an artificial Christmas tree for Santa’s grotto – you can take it back at Going Home time, we promise! Bake or buy cookies, cakes and Christmas goodies to donate for sale at the Wonderland Cake Stall. Buy raffle tickets (coming home in PACT folders shortly) and/ or sell them to your friends – they will thank you when they win that £100 cash prize. He’ll be back – with treats for all you GOOD little girls and boys. 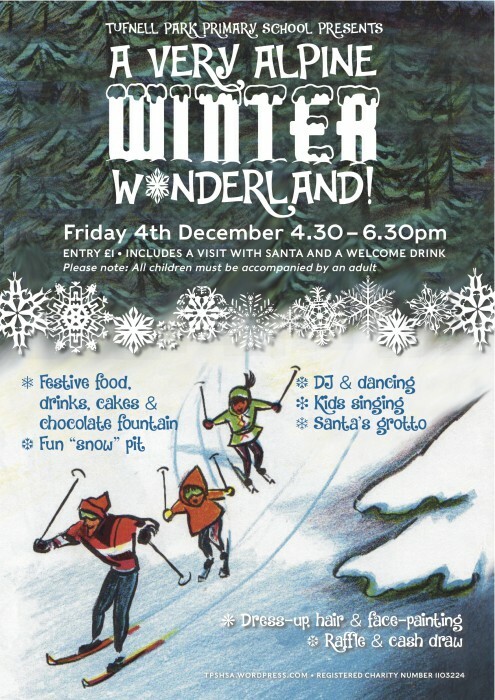 Come along to the party from 4:30pm on Friday 4th December. 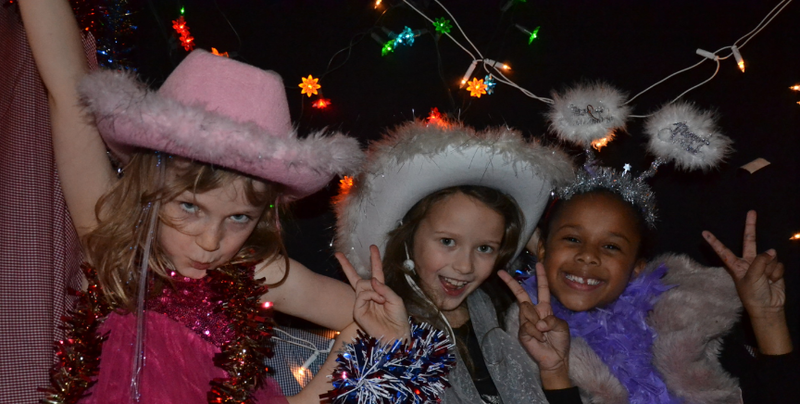 There’ll be singing, dancing, the jolly old man in red, a cash draw, prizes galore, crazy Christmas make-overs, hot dogs and hot chocolate and fragrant hot wine, the ever-popular dress-up photobooth, a whole room of “snow” to jump in and demented amounts of glow-in-the-dark fun. The HSA did some other business, too. 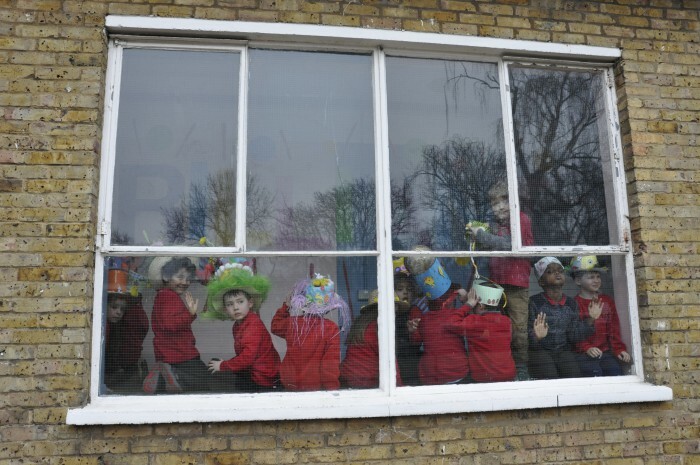 A Tufnell Park School Calendar for 2016 is already in production and, with 12 original class artworks depicting “Tufnell Park Scenes”, it’s going to be really wonderful. With luck, it will be on sale at Winter Wonderland… or very shortly after. Looking forward to early Spring, we’ll be launching a fantastic gardening, growing and cooking project with a £4,880. grant from Santander’s Community Plus fund. This will involve several community days at school, so please watch this space for your chance to get involved. Thank you so much, HSA co-treasurer Carolyne (and Santander employee) for alerting us to a wonderful opportunity and submitting our application on the HSA’s behalf. Finally, after carrying out research into the origins of our name – Home School Association – the committee voted overwhelmingly to change us back into a PTA, probably from September. There are some technicalities to sort out before a re-launch but at last we’ll have the advantage of people knowing what we are…. How fun was last June’s Fun Run? Take a look at the fantastic new gallery of Fun Run photos – the biggest gallery on this site ever. The Fun Run in June raised just over £3,000. This Friday, 9th October, in Andromeda class at 3:45pm, parents and carers are going to discuss (among other things) how best that should be spent to benefit all our kids this year. Come along. Children can play in Cygnus class and refreshments are provided. 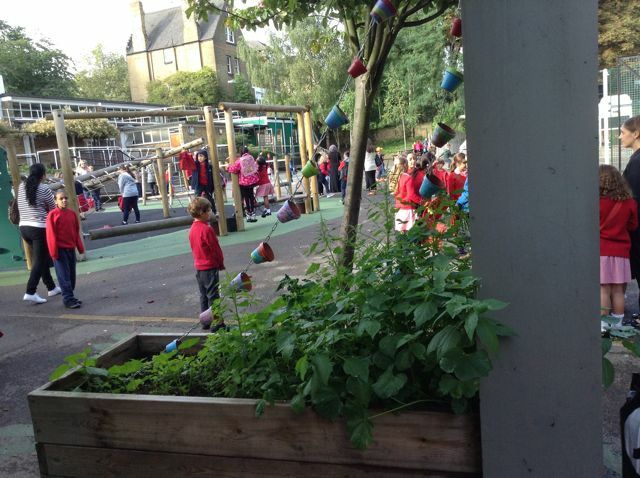 Just look how our garden grew! We dress them in red so they can’t get lost… green could be fatal. Can you believe this is how it looked in July? 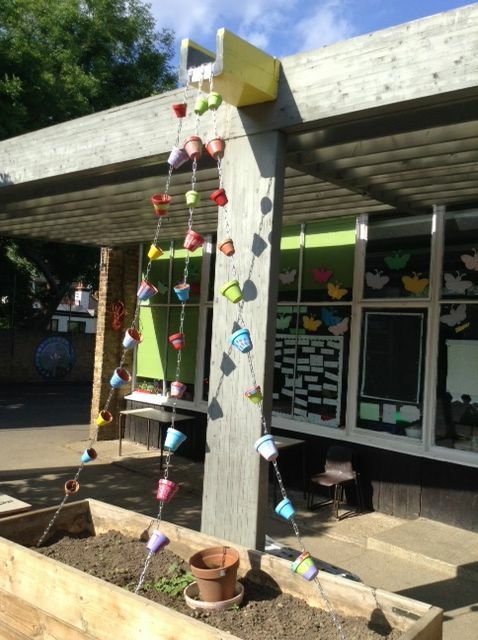 There’s more gardening fun to come this year, thanks to a generous £985.00 grant from the Thames Water Charities Committee (and massive thanks once more to Kim and Andy Ollard for alerting us to that source of funding). That’s just one of many, many projects our busy HSA has in the pipeline. Please put the HSA Annual General Meeting in your diary, come along and speak up about what you’d like to see happen this year. The meeting is right after school on Friday 9th October, with a creche and refreshments provided. We’re lost in the weeds without you. Don’t forget! 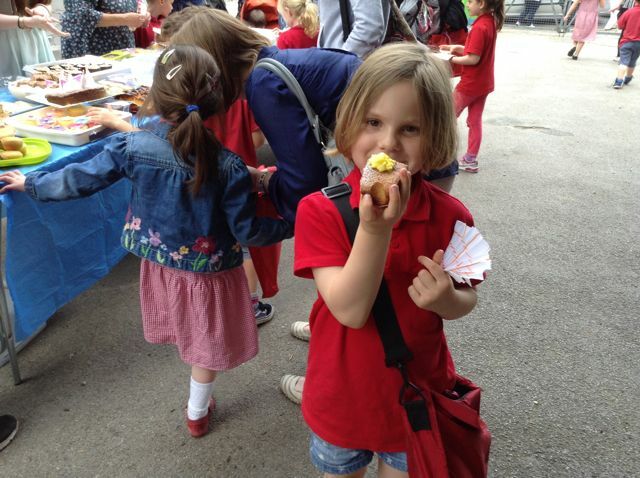 It’s the last cake sale of the school year tomorrow, with profits to Orion and the Nursery. Bring cake, buy cake – or if you feel it’s too hot for cake, get creative with some fruit or healthy snacks to sell: all contributions are very welcome. Nothing starts the weekend like a slice of cake – get yours on the way out of school tomorrow afternoon. If you can get to school any earlier, please join the Summer Fair meeting in the mobile from 2:00pm. Sign up to help out at the fair, if you haven’t already, or just come and find out what’s going on and how it’s all going to work on the day. Carnival! Carnival! Carnival! 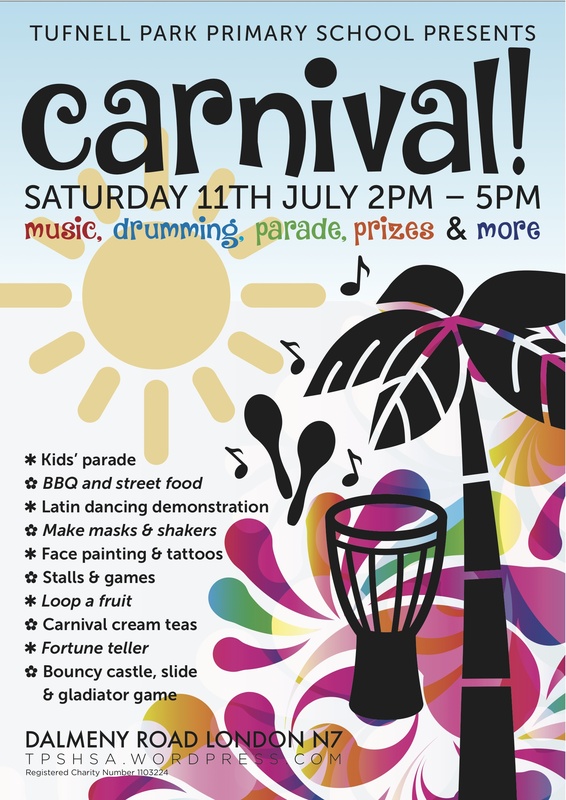 With the Summer Fair less than two weeks away – it’s on Saturday 11th July – carnival planning is about the only game in the HSA’s town. Loads of people have signed up to help, which is absolutely brilliant because it’s going to be BIG as ever, and everyone also needs a bit of time off to go round the fair with their own kids. Let us know at any time if you don’t mind lending a hand. Email Anna on tpshsan7@gmail.com, grab one of the committee in the playground, put your name on the chart in the school lobby or look out for parents at the school gate all next week – they’ll be out there, signing up volunteers. 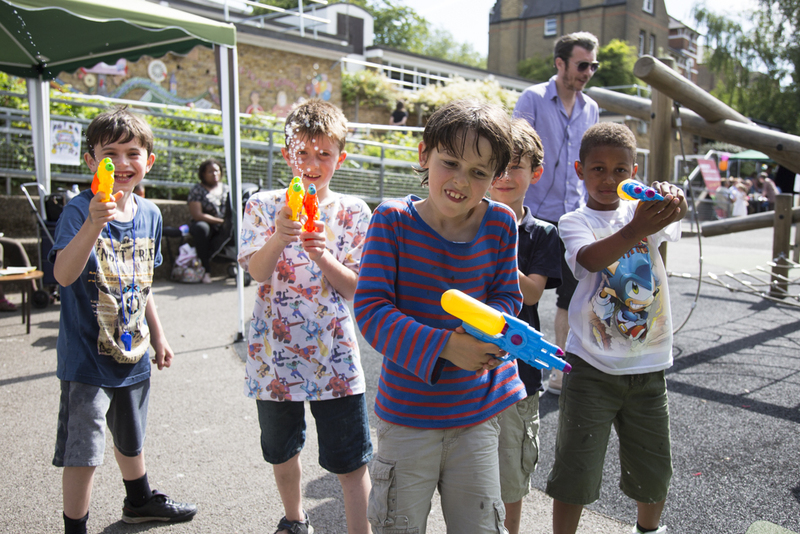 Even if you haven’t done any of that, you could still drop by the next – and final – Summer Fair planning meeting: Friday 3rd July at 2:00pm at school, in the mobile, conveniently leading you into the Nursery & Orion cake sale at 3:30pm. One day, maybe, ALL of these will sell for 50p… but for today, it’s only this one. Keep an eye on the PACT folders, too: today they contain a letter about the fair listing things we still need, and attaching books of raffle tickets for families to buy and sell. 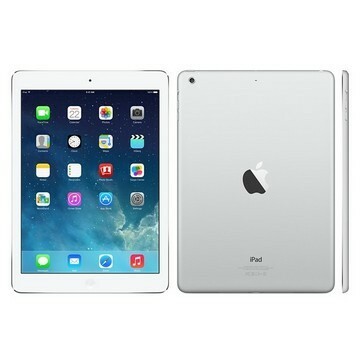 Once again, our kind sponsors at Drivers & Norris have come up with a splendid first prize: an Apple iPad Air 16GB with WiFi – retailing at around £300 and possible to win for just 50p… if you buy the lucky ticket. It really is a beauty.